What is the most important thing to note when buying a weighing scale? The answer is precision. When it comes to digital scales, a lot of people still think that they are not as precise as the mechanical ones. The reality is, the most accurate type of scale are the ones that you see in the doctor’s office. Does that mean that digital scales are not accurate? Not really, but they are at a disadvantage. Given this fact, you should really be mindful of the “precision factor” when purchasing a digital weighing scale. More than that, you really have to know the ins and outs of the digital scale that led to its precise reading. Here comes the Toilettree Products Digital Scale. 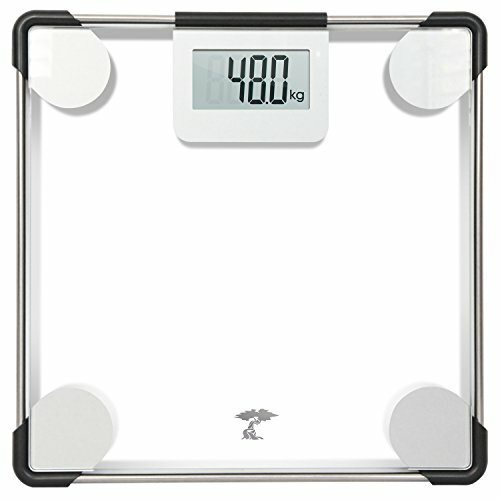 It does not only claim to be the most precise digital scale in the market, but it also claims to be very user-friendly. We are going to put these claims and more to the test. Curious to find out if the glory behind this digital scale is true? Then, keep on reading. Besides the funky name, this brand is all about offering their utmost support to the buyers by providing high-quality products. In a nutshell, they want their products to be your weight loss or bodybuilding buddy. This is the reason why accuracy is very important to them. Even if that’s the case, it does not necessarily mean that beauty takes a backseat. In fact, their product designs are very streamlined and clean-looking. So, they really strive to have the best of both worlds. Let us now see if their digital scale possesses the fine qualities that we mentioned before. The Toilettree Products Digital Scale is truly a sight to look at. More than that, though, it can also deliver accurate results too. Most of it is made of high tempered glass, but you do not have to worry about it shattering because it has rubber bumpers in the corners that absorbs impact. Additionally, it is equipped with metal outlines that can support up to 400 pounds of weight. This digital scale is well made, and you can easily read the display due to the large numbers that are reflected in the display. At the same time, it has a power saving feature due to its step-on technology, which basically means that it turns on and off automatically based on contact. However, it does not have a backlight, so you still have to switch on your bathroom lights to use it. At a glance, you might mistake the Toiletree Products Digital Scale with the Etekcity Digital Body Weight Scale because they look the same. We are talking about dead-on similarities in terms of design. They have the same glass platform, metal support, and rubber bumpers. So, how do they differ? For starters, the one from Etekcity comes with a measuring tape. More than that, it also has a low battery indication feature so you will know when to replace the battery. At the same time, for added support to the platform, it has a quad stability pad too. What this quad stability pad does is it acts as a suspension for the platform to be stabilized and to ensure that there is proper traction. This feature does not really affect the capacity of the scale to provide more accurate results, but it keeps the platform well balanced so that it will be easier to get the right results. Obviously, this very handy feature is not present in the Toiletree Products Digital Scale. Instead, the one from Toiletree Products solely relies on the fact that the glass platform itself is already stabilized. For Etekcity, they have an added safeguard. Furthermore, another feature that is missing from the one from Toiletree Products is the display backlight, which the one from Etekcity has. Lastly, they also differ in terms of their LCD screens. The Etekcity one has a significantly smaller display screen than the one from Toiletree Products. Also, the number display of the Etekcity is much smaller and harder to read. 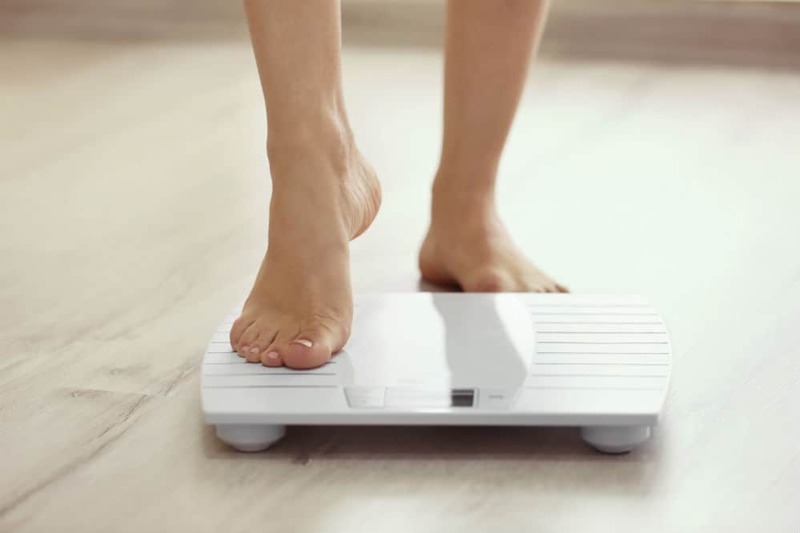 Now, the question is: will the added features of the Etekcity Digital Body Weight Scale prove to be the downfall of the Toiletree Products Digital Scale? For sure, the suspension and backlight features of the Etekcity Digital Body Weight Scale is very handy. However, just like what we said from the start, the most important thing is precision. In terms of accuracy, the Toiletree Products Digital Scale is the winner. We are talking about that type of precision that you will see a significant change in the reading when you weigh yourself with and without a bracelet. The sensors of the Toiletree Products Digital Scale are that sensitive and accurate. Other people have even tested weighing themselves with just one foot and with both feet, but the results stay the same. This is actually a huge win for digital scales. This product proves that digital scales can also fare against the mechanical ones. Other than that, you have something of beauty in your bathroom. Definitely, this digital scale is upholding the vision of Toiletree Products of being your aesthetically pleasing but efficient fitness buddy.